How to Buy a Car and Win! FREE FOR KINDLE NOVEMBER 30TH!!!! People who go in unprepared end up paying way too much when buying a car at a dealership. They don’t just pay too much for the car, but for financing, warranties, and a lot of other stuff too. To make it worse, they sometimes pay all that money for a car that’s a piece of junk. Don’t let it happen to you. Read this book and prepare yourself for the complete car-buying process. This book doesn't just cover one little topic - it’s all in here: dealing with sales people & sales managers, common scams & gimmicks, tricky sales tactics, effective negotiating, financing, internet sales, leasing, the business office, industry slang, making sure you’re buying a trustworthy car, and much more. I have sold cars for the last 14 years and still do every day. I know how they’re gonna try and get you. Let me show you how to stop them from getting too much of your money. 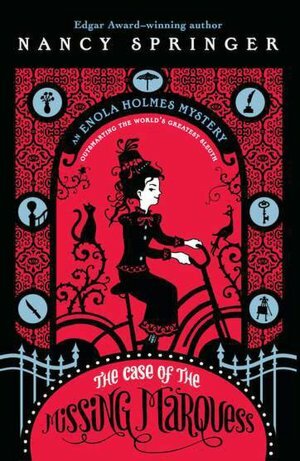 When Enola Holmes, sister to the detective Sherlock Holmes, discovers her mother has disappeared, she quickly embarks on a journey to London in search of her. But nothing can prepare her for what awaits. 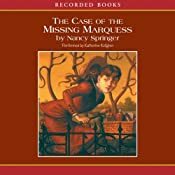 Because when she arrives, she finds herself involved in the kidnapping of a young marquess, fleeing murderous villains, and trying to elude her shrewd older brothers—all while attempting to piece together clues to her mother’s strange disappearance. Amid all the mayhem, will Enola be able to decode the necessary clues and find her mother? This is a special Recently Read post put together by my oldest daughter, Alexandra. This book is a twist to the story of Sherlock Holmes. Enola Holmes, much younger sister of Mycroft and Sherlock Holmes, may look a lot like Sherlock but acts a lot like her rebellious mother. Her mother loves ciphers. In fact, Lady Eudoria Vernet Holmes named her daughter "Enola", a cipher in itself. Enola turned backwards is alone. This story begins when Enola's mother goes missing, leaving no other clue than a cipher book and a book on the meaning of flowers. Eventually, Mycroft decides to send Enola, who hasn't had any schooling in the "lady-like arts" of the late 1800's Britain, to a lady's boarding school. Rebellious Enola will not have it. She promptly finds her mother's cache of money, that had been stored for Enola, and runs away. On her way across Britain she decides what her calling is. A consulting "perditorian", as she would put it. She then proceeds to London where she begins here quest of finding the lost - including her mother. She does all this under Sherlock's and Mycroft's noses. If you like mysteries such as Sherlock Holmes and Nero Wolf then this is a highly recommended series. I would give this book a five star. If you're here just for the recipe all you need to do is scroll down to the bottom of this post. It has been a few weeks since I did a real Whatever Wednesday post and I still don't have much to talk about and no photos to share. I'm writing this Thanksgiving weekend so I'm going to begin with Thanksgiving talk. I hope everyone had a wonderful day even if you don't celebrate Thanksgiving. I had a wonderful day with my family. It was nice and relaxed. Thanksgiving has always been one of my favorite holidays. We spend the entire day together eating, watching movies, picking on each other and just being a family. This year, as every year, we did the traditional menu with the turkey as the centerpiece. I have the most wonderful husband and he's the one who does the turkey - shhhhhh. I don't advertise that fact very often. This is a short list - it seems the list somehow becomes smaller every year and I don't know what I've omitted. No one else seems to remember what I keep forgetting either, so it's all good. There are a few stories behind my list that I'm going to share with you, even if you don't want me to. Like I said, my husband makes the turkey and usually does two. He makes the plain old turkey (the bigger one) and then does a honey basted one for just us. They are both very good, but the honey basted one doesn't make very good gravy. This year, the turkeys were perfect, so nothing more to report there. Sweet potaotes. I don't eat sweet potatoes. I don't like sweet potatoes. I have no idea how to cook sweet potatoes. Having said all that, my dad LOVES sweet potatoes and Thanksgiving is the only time of year he gets them. He says I do okay with cooking them and if they were horrible I think he'd tell me. My oldest daughter did the deviled eggs this year and did a WONDERFUL job with them. They were gone before the meal really began. And, my biggest mistake this year... the buns. They turned out beautifully, but I made enough to feed my entire town. I cheat and buy frozen bread dough. This year I bought some that were already shaped into buns and all I really had to do was set them out on a tray to rise and then bake. Plus, I bought two packages with 3 loaves in them and then found, at a different store, a better deal with 5 loaves to a package so I bought those. I had intended to put some of them in the freezer for later use, but left them out over night. When I got up the next morning they had all risen, including the premade buns and I had to cook them ALL. That's sixteen loaves of bread and 24 premade buns! We will all be eating lots of bread for the next couple of days. LOTS of bread! I'd offer to send you some, but by the time you read this (no preservatives) I imagine they will have gone bad or I will have frozen them. Since I haven't done this for a while, I'm going to give you a recipe and I know I haven't shared this one. I've never seen it in a cookbook, but it might be very common. All I know is the only time I've ever seen this dish is when my mother made it special for ME at Thanksgiving. Again, this is one of those dishes that we only make for Thanksgiving - the Glorified Rice. This is a very simple recipe. I usually make it a day before Thanksgiving. I'm sorry I don't have any pictures but my girls like this so much it was almost completely gone as soon as it was made. We didn't bring over a full bowl to the table on Thanksgiving. First, cook the rice and let it cool. I always guess at the amount of rice, but this year I used three cups. I could have added one or two more cups and it would still have been good. I also cheated and used Minute Rice because I seem to always burn the other. I still managed to stick a lot of the Minute Rice to the bottom of the pan. Also, I only let it cool as long as it takes to make the Jell-O and then I add it right in. Next, make your Lemon Jell-O. I used two 8 oz. packages and just made the Jell-O according to the package directions in the bowl that I was going to make the entire dish in. I use a fairly large bowl. Dump in the crushed pineapple into the Jell-O and add the rice. Mix it well and the "wet" Jell-O should help break up the rice nicely. Then put it all in the refrigerator long enough to let the Jell-O set up. I usually add the Cool Whip the day I plan to serve it. I imagine you can mix and match with this recipe by using a different flavor of Jell-O, maybe even a different fruit. Experiment and have fun! I bet it would be good with strawberry jello and strawberries! Oooh - I think I might try that! I'll break tradition and make Glorified Rice for something other than Thanksgiving. Dark Hall is proud to present our new release Over the Bridge by Lisamarie Lamb. Over the Bridge is a chilling collection of sixteen short tales exploring the darker side of human nature. Through her employment of supernatural elements, folklore, and allusions to predestination, Lamb has crafted a provocative and refreshing collection of the macabre. As of November 23rd, Over the Bridge will be available for purchase via Amazon, Barnes and Noble, and other such sites, in both eBook and paper editions. We would very much appreciate any help you might provide in helping to promote our new release, and would be pleased to help promote any projects you might be considering or presently working on. Stolen mob money! Ruthless hit men! A past that won't stay dead and buried! For bounty hunter Grace deHaviland the job seemed simple. Track down Barry Keegan, an accountant in a white collar criminal case who jumped bail. How hard could that be? But the case turns deadly when a co-defendant ends up murdered and Grace's best friend, sheriff's deputy Suzie Jensen, is nearly killed. Can Grace track down the elusive Barry Keegan--a man more dangerous than anyone could've guessed--while she tries to protect his wife and son from a violent past they thought dead and buried? The exhilarating first novel in the Grace deHaviland Bounty Hunter series. A native New Yorker, David DeLee now makes his home in the great state of New Hampshire. He holds a masters degree in Criminal Justice and is a former licensed private investigator. The author of the Grace deHaviland bounty hunter series, which includes the novel Fatal Destiny, a novella A Cold Wind, and a collection of short stories called Runners, he's also published a stand alone novel Crystal White, and a half dozen more short stories, including Bling, Bling, which appeared in the Mystery Writers of America anthology The Rich and the Dead, edited by Nelson DeMille and published by Grand Central Publishing. A member of the Mystery Writers of America and the International Thriller Writers association, David's other work includes a urban fantasy series called The Irish Cycle under the pseudonym David Miller. David DeLee can be reached through Dark Road Publishing at darkroadpub@live.com or follow on twitter.com @daviddelee and Facebook. "...taut and dangerous...Mr. DeLee has proven that he can compete with the best of them in the crime thriller genre." Sample Pack from Dark Hall Press - Happy Thanksgiving! Please note that this is a SAMPLE PACK. It contains EXCERPTS of three novels. This is not a collection of the full novels. In celebration of Dark Hall's first anniversary as a Horror Fiction publisher we are proud to present a value-priced sample pack containing excerpts from our first three releases: Witch by Lorne Patterson, Exoskeleton by Shane Stadler, and Dark Corners by Michael Bray. It’s certainly been an exciting year, and as much as this sampler is a taste of where we’ve been, it’s also a taste of where we’re headed. Experimental in spirit, but with a mind towards the classics, Dark Hall’s mission is to promote superior works of Horror Fiction, carrying the rich and celebrated tradition forward into the new millennium. On Saturday, November 17th, 2012 I had the privilege of attending the Gala Book Launch put on by the Black Hills Writers Group for Granite Island, Amber Sea: Writings from the Black Hills and Plains. It was an amazing event full of talented authors. I was hugely impressed by all the great writers gathered in one spot. Adrain Ludens and a few of his very own anthologies. The first reader, Dorothy Rosby, is another impressive author. I've had the pleasure of hearing her read at group meetings but this is the first time I've heard her speak at an event. Dorothy read "Seasonal Envy Disorder," her contribution to the anthology. She is a syndicated humor columnist in eleven western and mid-western states, including a couple of our local publications. Dorothy Rosby standing behind a table full of copies of "Granite Island, Amber Sea: Writings from the Black Hills and Plains". Lloyd Warner, author of Faith at the Dismal River, Joy at the Dismal River and Peace at the Dismal River, read an excerpt from his contribution "My Town." Lloyd Warner standing near a couple of his novels. Lloyd Warner - reading an excerpt from "My Town". K.J. Van Deusen, noted local poet, read "Just A Stone's Throw Away from the David" and "This Wind." Her poetry has appeared in Pirene's Fountain, Plain Spoke: A Literary Speakeasy and Victorian Violet Press and Journal. K.J. Van Deusen - reading "Just a Stone's Throw Away from the David", and "This Wind". Jared Rittberger, one of my favorites to hear read at the meetings, read his contribution, "Tense Times in the Axis of Evil." Jared writes about his travel experiences with such a realistic and human point of view that I always find myself right there with him. Jared Rittberger - reading from "Tense Times in the Axis of Evil." Sandra Brannan, another of my favorites, gave a talk on writing and her anthology contribution, "The Bridge." Sandra Brannan is the author of The Liv Bergen Mysteries which include In The Belly of Jonah, Lot's Return to Sodom and Widow's Might. Sandra Brannan speaking of her pride of her family and other things like writing. Jorie Jertson read from her "Autobiography of a Model T," one of her four contributions to the anthology. She was assisted by Craig Schaffer, who read the voice of the Model T. Craig Schaffer also contributed his own work titled "Someday." Both of these authors are amazing. Jorie has authored several books, including The House: Emerge of the Mouse, Mother & Daughter and Quest. Craig Schaffer has brought me to tears with his writing more than once at the meetings and I love to listen to his stories. Jorie Jertson and some of her available novels. Jorie Jertson and Craig Schaffer reading from "Autobiography of a Model T". Victoria Wicks, a freelance journalist and artist read her contribution "A Boneyard Reverie." Her presentation was beautifully accompanied by her own photos. Victoria Wicks - reading from "A Boneyard Reverie". The last three presenters highlighted the Black Hills Writers Group's latest project, The Empathy Project. The Empathy Project is open to all submissions. The basis behind The Empathy Project is to put yourself in another person's shoes and try to see the world from their point of view. They accept all kinds of forms of expression from music, the written word, photography, and video. Everyone is encouraged to enter in the hopes that if we can get people to see things from a different point of view we will all be more empathetic, making the world a better place for us all. Charlotte Walling, one of the founders of The Empathy Project, started off the readings with "Apple." "Apple" will be published in the upcoming edition of the Vermillion Literacy Project. If you are not able to get a copy of the Vermillion Literacy Project I highly recommend you go to the website listed above and search out this story. Though it's hard to pick a favorite of the night, "Apple" is very high on my list of best readings of the night. Charlotte Walling - I think this is the cutest picture! Charlotte Walling - reading from her Empathy Project submission, "Apple". Patricia Griffin read her Empathy Project submission, "Paprika Delight." Patricia is a past president of the Black Hills Writers Group and also has her own novel out, The Other Side: Rebellion Night with the sequel, Redemption Knight, scheduled to be released in 2013. Patricia Griffin with her book The Other Side: Rebellion Night. Patricia Griffin - reading "Paprika Delight." And finally, the current Black Hills Writers Group president, Karen Hall, wrapped up the evening with her Empathy Project submission "Used Dinnerwear." This one actually brought me to tears and I had to quickly dab at my eyes to keep my makeup from running. I didn't do the best job of it. Karen Hall also has two novels available. Unreasonable Risk and the second book in the Hannah Morrison series, Through Dark Spaces. Karen Hall - reading "Used Dinnerwear". Karen Hall - signing her newest novel, Through Dark Spaces. I had a wonderful time at the gala and am extremely proud to have been allowed into the same room with all of these wonderful authors. I will post the rest of my pictures below for your browsing pleasure. Not the best picture, but this is me setting up my books for display. Another picture of ME! I think we've finally gotten these out of the way and we can now focus on everyone else. JE Terral's wife, Phylis. I'm not sure if I've spelled her name correctly and if I haven't, I apologize. JE Terral and his small selection of titles. VR Janis and JC Phelps, posing pretty. VR Janis and JC Phelps. If one isn't talking, the other one is. JE Terral and his beautiful wife, Phylis. Patricia Griffin - a candid picture of her setting up her display. Marsha Mittman standing in front of her offerings. I believe this was our first meeting. Marsha Mittman and Jorie Jertson. What a couple of gorgeous ladies! Jean Helmer and her own collection. Lloyd Warner and Jared Rittberger. Two very good writers that did readings for the gala. Check out the books and name plates. Where are the authors? Goodness! The authors are all missing! Oooh - and my handsome hubby is in the background. He looks so handsome sitting there in his suit. Nichole R. Bennett and Jean Helmer rearranging and setting up. Granite Island, Amber Sea: Writings from the Black Hills and Plains!